If you are developing ActiveX components, you truly know that "REGSVR32.EXE" isn't the most luxurious program available. 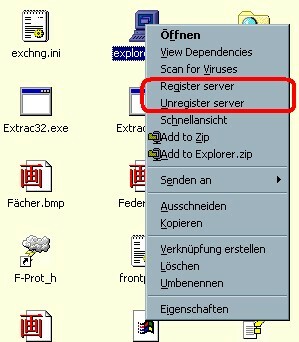 It's an extension for the Windows Explorer, simply right-click an OCX, DLL or EXE file and select "Register ..." or "Unregister ..." from the menu. 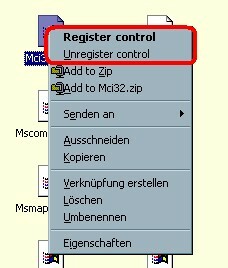 This will either register or unregister the selected component from the registry.